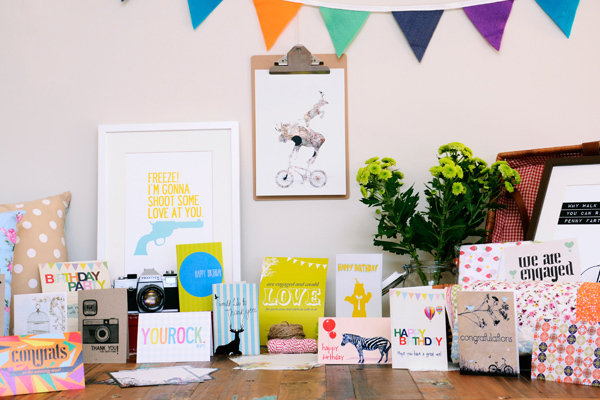 FK chats to friends Amy and Katie from Sydney based stationery label Fox and Beau! Who will be debuting at the upcoming Sydney Markets. Tell us a bit about Fox and Beau and what products we can expect to discover? 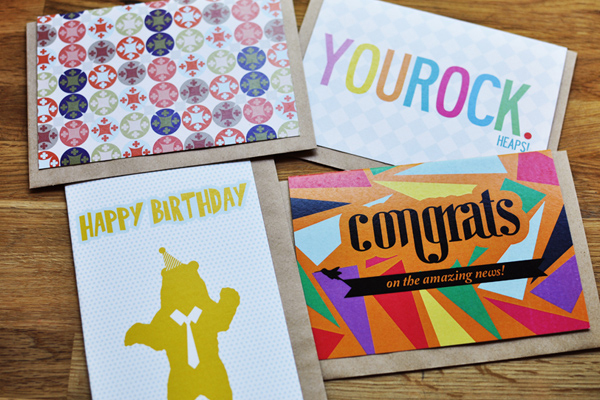 Fox and Beau is an online stationery store selling unique and delightful paper goods. Every card, invitation and artwork print is designed by us, and each design has its own personality made to make whoever gets their paws on it feel all warm and fuzzy inside. If it doesn’t make us smile then it doesn’t make it to print. On the side to paper we also like to play around a little bit with fabrics and sew our own range of vintage inspired pillow cases, throws and cushion covers. 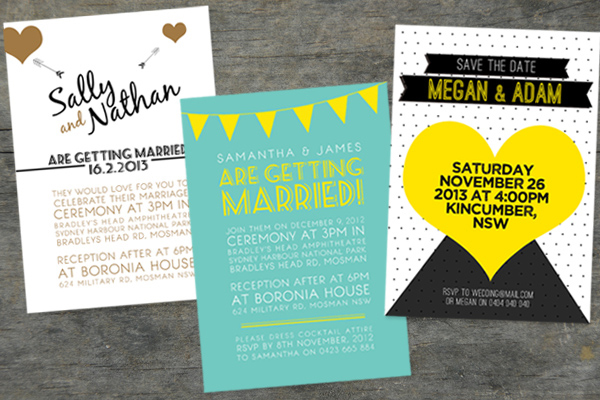 We are also very excited to announce our online custom invitation range that will be launching in late November. It has been something we have been working on for a while and we think our lovely customers will be thrilled with this service! Who are the team behind Fox and Beau and what are their roles? Fox and Beau consists of two great friends Amy and Katie. We went to primary and high school together (*cringe* so long ago! ), and then after both heading off to uni and travelling around for a few years we met up again in Sydney and realised that we shared the same passion for design, craft, interiors and paper. 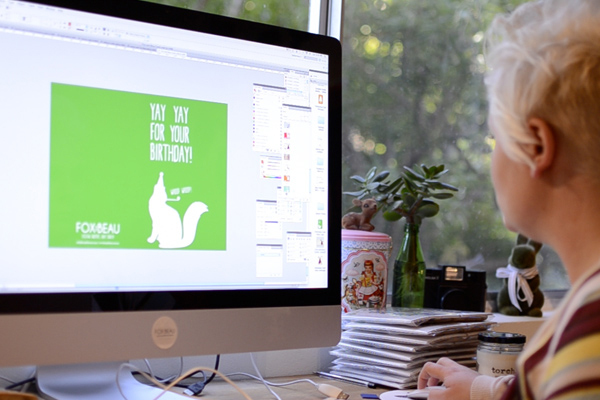 We decided to give our passion a crack as a business venture and just under 12 months ago launched Fox and Beau. It is our sanctuary, our home away from home, a place where we can get lost and share everything that means the world to us (next to our cats of course!). We are so proud of how far we have come in such a short space of time and are proud of the products we make as they are all designed by us, printed locally in Sydney and eco-friendly too. We LOVE colour and simple, down to earth fun. It is the simplest way to express our work, so we thrive off others that infuse these aspects into their projects as well. We are big fans of other Australian artists from Beci Orpin and Kirra Jamison to Rachel Castle and Beth Emily and draw inspirations from the sophisticated way they work with colour. We blog daily on Fox and Beau mostly about our passion and inspiration for stationery, art and interiors all with a large focus on colour, vibrance and texture. You can often find our noses in Frankie Magazine, as well as Peppermint and Yen and there is a massive and amazing blog world out there that we like to regularly immerse ourselves. 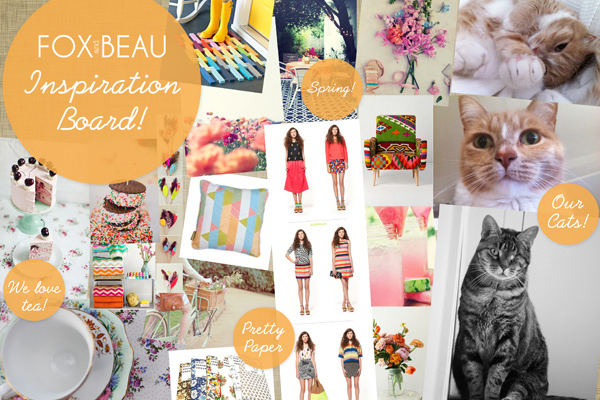 With a nice cup of tea (or sometimes a cheeky wine) our brains get buzzing on what we can design and blog about next! 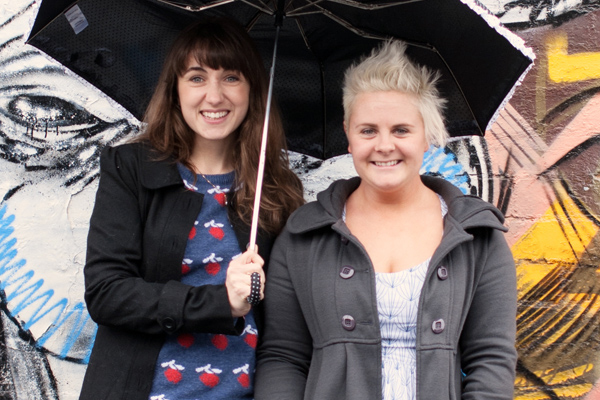 Amy works from home in her studio on the Northern Beaches and Katie in her home in the city. Living on the other side of the city to each other means most weeknights and weekends involve brainstorming at either one of our houses and enjoying a delish home cooked meal as well! Amy’s studio space consists mostly of artificial taxidermy, soft toys, wrapping paper of every kind and our product line. It also consists of her lovely large computer that holds all of Fox and Beau’s artwork. Katie’s office is a little neater as most of the business is organised in there, but it does have a lovely library crammed full of books and an occasional decorative bookend. There is a large space in the middle of Katie’s office for silent dancing when we have a good week in sales! We LOVE the word challenge! If our job wasn’t challenging then we don’t think we’d enjoy it. One worry we come across often, is deciding whether our prototype designs are appealing to other people. If we weren’t careful almost every card would contain an image of a cat or dog or some other gorgeous animal, so working out what we think would be a suitable product for our customers and getting a balanced design portfolio can get a bit tricky sometimes. But in the end we always come up with a great middle ground and our customers seem to send us plenty of love and positive feedback! What can we expect to see from Fox and Beau at the upcoming Sydney Markets? LOTS of cards! We are working around the clock to get fresh new products on the table for the markets. 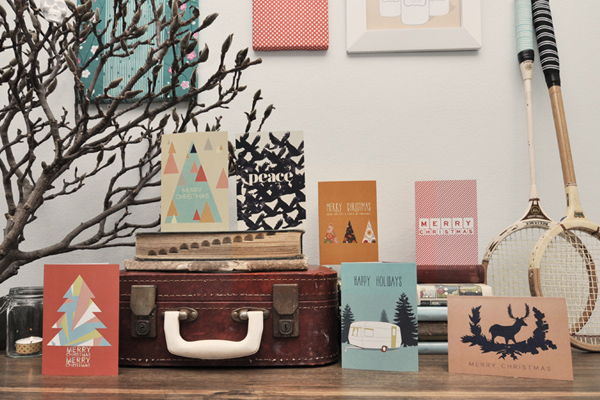 Our new Christmas cards have been such a big hit so we will have plenty of them available too! We also have a bunch of new A4 prints that will be hot off the press. The Finders Keepers Markets have been a market we have ALWAYS wanted to participate in so we are making our stall look super amazing and will be on such a stationery high for the two days! We would love to have plenty of visitors, even just to come by and say hello. So please pop by, we always like a chat!